Bio-Serum 1 protein is a high-tech muscle building powder specifically made for hard-core bodybuilders and athletes. Helps increase muscle mass by providing you with a complete amino acid profile plus BCAA’s. The Ultimate protein powder to reduce fat and increase lean muscle. 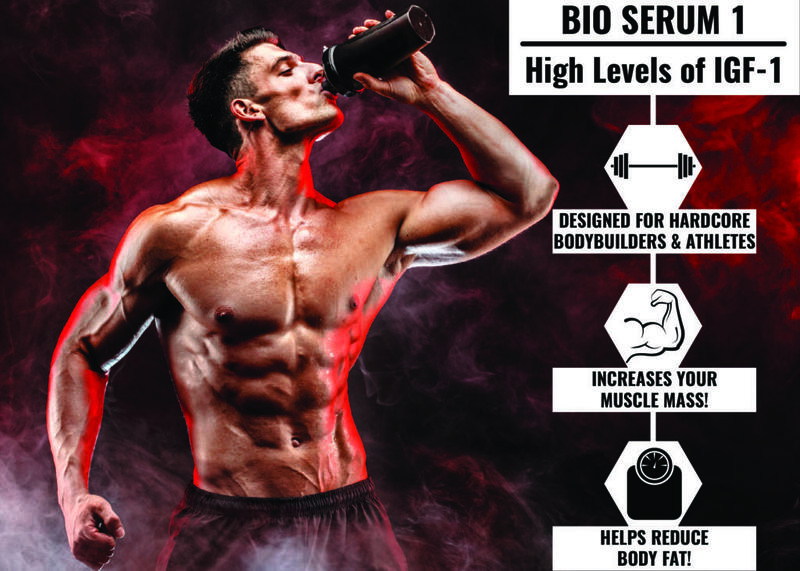 Bio Serum is an ultra high-quality protein. In addition, ours is the only 3rd party lab tested one to ensure quality and label claim. Get a powerful anabolic and anti-catabolic protein powder to ignite your gains like never before. 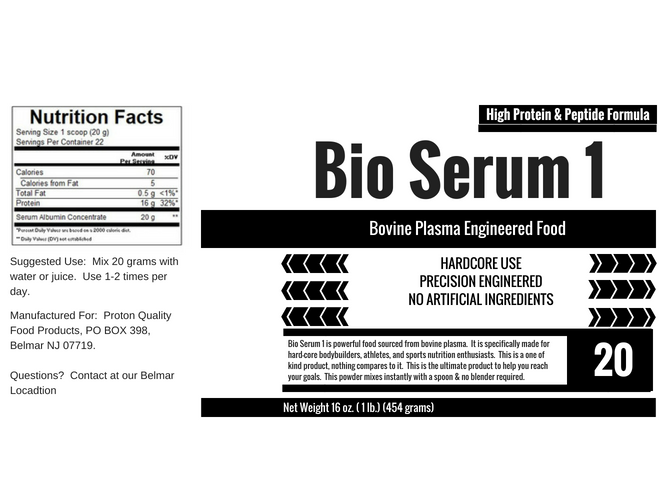 Bio-Serum 1 contains a far superior amount of protein subfractions over any other protein in existence. Because of this, Bio-Serum 1 is the ultimate choice for muscle growth and anabolic effect. Our greatest muscle building protein has returned! There is a reason why you’ll never see this hard-core, jam packed with growth factors, muscle building protein supplement on the shelf of your local retail store or any internet website. Why? Because it WORKS! Plain and simple. What can you expect from bio serum? It’s funny because people think they can build muscle buying a supplement that costs $29.99. Really? You think that you can just buy some junk supplement like Gamma –O and some garbage arginine supplement and its going to pack on muscle? Look, all these supplement stores are in business to make money. Don’t be a fool, it’s the truth. And the only way they make money is to sell you junk, low quality supplements. Slap a fancy label and market it as the best thing ever. Just look at what we have done in the past. We busted tons of companies selling junk. Have you seen this video yet? We totally busted one company claiming to have a 3rd party lab analysis but didn’t. We are the only company you should buy protein from simply because we are the only company that proves our quality with lab analysis that you can physically see. 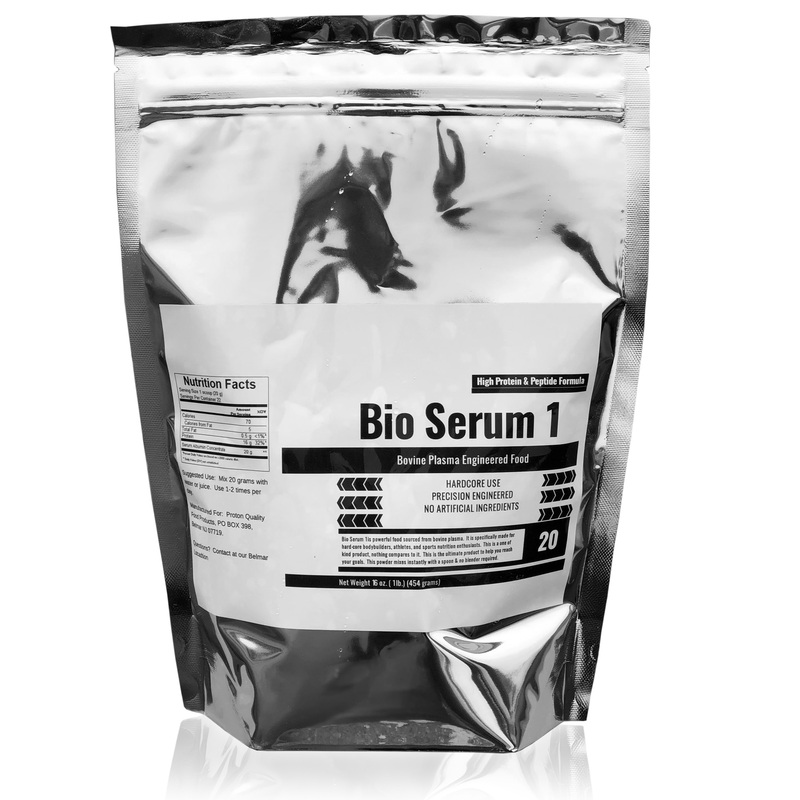 Secondly, we sell proteins that actually work and Bio-Serum 1 is IT! Like I said don’t surf the internet trying to find this product because you won’t. Its too expensive and doesn’t taste like a milkshake for any retail store to carry it. However, here at ProteinFactory.com® we want to help you grow muscle, have energy, and get big! We strive to bring you the best protein building agents in the world. Bio-Serum 1 is your next muscle building weapon. Get it, use it, and you’ll love it without a doubt. Stack Bio serum with our Oatmuscle for a great tasting shake.